The Orange County Arts Council envisions a county where the transformative power of art is consistently demonstrated through the strategic integration of the arts into all aspects of community life. To strengthen the arts in Orange County by providing educational, promotional and informational services. These goals are accomplished by coordinating and facilitating relationships among artists, schools, businesses, government and the public. The Orange County Arts Council was formed 2007 to meet the growing need for an umbrella organization in the region focusing on the arts. The Orange County Legislature and County Executive Ed Diana provided the funds from the county budget to help develop the Council. The Arts Council began as a collaborative effort between the Orange County Citizens Foundation and the County of Orange/Orange Arts. In 2003, the Citizens Foundation, with financial support from NYS Assemblyman Howard Mills and County Executive Ed Diana, commissioned a Cultural Needs Assessment for Orange County. That study, released in 2004, called for the development of an Arts and Cultural Strategic Plan as well as the creation of an Arts Council. In 2005, the Citizens Foundation developed an outline for the Strategic Plan, and within a year, the county had completed the plan. In 2006, the Orange County Legislature accepted the Strategic Plan as presented. The following year, the county allocated the money in the county budget for development of an Arts Council. Today, a 14-member Board of Directors (click here for Board List) oversees the Arts Council. Many of our programs are designed and implemented by volunteers serving on various committees. Click here for a list of committees and their goals. All of the programs and services of the Council focus its modest financial and human resources on enabling the cultural community of Orange County to create those public values for the benefit of all our residents and visitors, both those that are intrinsic and those that are instrumental such as fostering quality education, stimulating economic development, bolstering tourism and building pride. The Council does so in ways that express its own set of public values: equal access, fair decision-making based on independent evaluation, uniform criteria, and full public accountability. A great many of its programs and services are carried out in partnership and collaborations with many of other organizations region-wide. Arts for Vets is a project of the Orange County Arts Council for veterans and their families. The Council, with support of the Orange County Executive and the County Legislature, offers arts-related activities for military families in Orange County. The project kicked off on June 2, 2007 at the Orange County Veterans Picnic, where sculptor Lou Fatta demonstrated a variety of metalworking techniques; the Mid-Hudson Wood Carvers offered demonstrations; and Shawn Dell Joyce of the Wallkill River School gave introductory lessons in plein air painting. Since that picnic, the program has presented a series of writing workshops, photography classes, stone wall building workshops, and metal working classes - and we continue to look for ideas about the types of classes and/or workshops that might be of interest to our men and women in the military. The Arts Council has partnered with the Department of Veteran Affairs and the VA Hospital, the National Purple Heart Hall of Honor, the Soldier & Family Assistance Center at West Point, and the Veterans' Center in the Town of Wallkill in an effort to find out how we can best serve our military, but we need direct feedback from our military personnel to make it work. 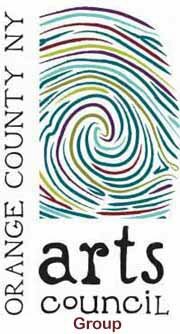 For more information on the programs and services offered by Orange County Arts Council Visit This Link!